Maisy has a big day tomorrow. She's going to the moon! 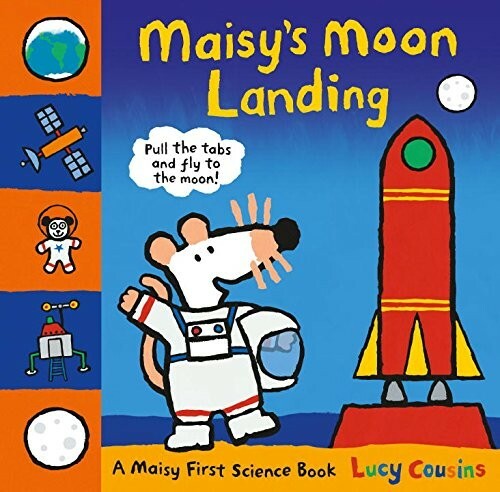 Little readers can pull the tabs to help her rocket blast off, move Maisy's vehicle over the moon rocks (with Panda in tow), and open a parachute that helps her land on Earth. There's even a control room with levers that lift up and down to make gauges change! 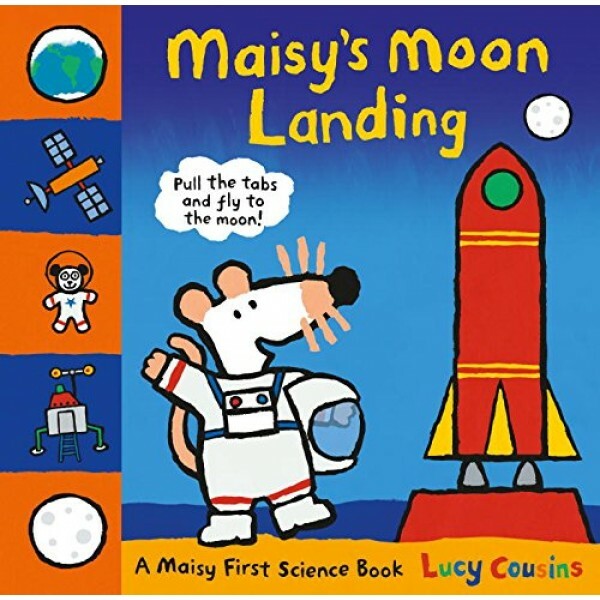 Little ones will love taking off with Maisy on her outer-space adventure -- and be happy when Cyril brings his friend safely home. Hooray!